Welcome to the Fortnite Battle Royale Wiki @ Orcz! Fortnite Battle Royale is a free-to-play PvP mode in Fortnite supporting 100 players. Features include a giant map, a battle bus, Fortnite building skills, and destructible environments in intense PvP combat. Last one standing wins. Fortnite was released Sept 26, 2017 for PC, PS4, XboxOne, and Mac. This Fortnite BR Wiki is an unofficial wiki edited and maintained by the community and fans of the game. Please help contribute to the FortniteBR wiki! This category has the following 200 subcategories, out of 302 total. 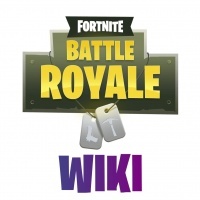 Pages in category "Fortnite Battle Royale Wiki"
The following 200 pages are in this category, out of 1,868 total. This page was last modified on 12 February 2019, at 06:38. Content is available under Creative Commons Attribution Non-Commercial Share Alike unless otherwise noted.